Over the years, I’ve taught my kids a few basics about the difference between financial wants and needs. But there are so many points to go over with kids that tackling them all in one setting can be a bit overwhelming. Jordan Niefeld, a certified financial planner and a CPA at Raymond James & Associates in Aventura, Fla., recommends several key points to get parents started with the conversation on how to teach their children to handle their monetary funds. Discuss the importance of proper money management. Parents should sit with their child in a non-distracting setting and discuss the overall nature of budgeting their monthly allowance and ensuring that the child pays any bills they may incur. 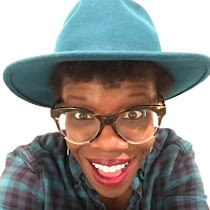 The child should have a good sense of how much money they will be expecting to utilize in any given month (whether it’s their own money or the parents money). Go over the type of expenses the money should be used for and allocated to. For example $100 –$150 a week for food, $200 a month on entertainment, etc. 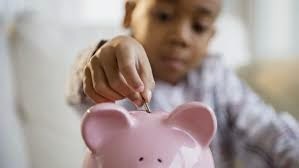 Teach the young ones to save any money that’s leftover, which may be used for their own rainy day fund or large goal that they would like to have later down the road. This way they may not feel compelled to spend all the money in one place. Talk about managing debt and building credit. This is where the FICO score discussion has value. Parents should tell their adolescents that the FICO score is what lenders look at to determine whether an individual can get approved for a loan and at what interest rate they will be paying. It’s important to explain that the higher the score the lower the interest rate will be. This comes in handy if the kids have dreams of owning a home, or buying their own car. Don’t be intimidated to break down the FICO/Credit score ratings. (TC's Personal Finance Tip) If you're uncomfortable explaining FICO/Credit score, take your youngster to your local bank where the branch manager may be willing to explain. Think of it as a financial literacy field trip and encourage your child to bring a friend so it's not so boring for junior. Inform your children that a score lower than 660 is subprime. Meaning, loans will carry more credit risk and will likely carry higher interest rates. The FICO credit score is a number that will follow them everywhere. For those young adults who are responsible enough to have a credit card, parents should set up a credit card for their child under their account. Most credit card companies allow a certain amount of users to one credit card and you can ask them to set a limit. This should only be used in a case of an emergency and if there is one then the child will have access to credit. (TCs Personal Finance Tip) For those employed young adults, parents should have their kids pay their portion of the credit card bill. Once they show that they can handle a small balance with payments, then it might be worth looking into getting them set up with their own credit card. No more than $300 limit. As they get older, get more work experience, and proves that they can pay off the credit card on their own without late payments and fees they can get an increase. This will help them start to build their credit. Encourage them to keep credit card debt low. Niefeld’s mantra is “If you don’t have it, don’t spend it!” I have to agree. 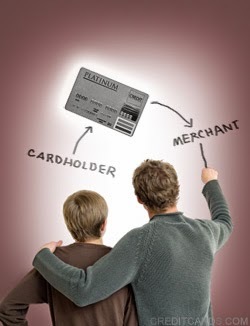 Advise the young spenders not to miss any credit card payments. Missing a payment can start the history of bad credit and will definitely lower your FICO score. Some children prefer to hold on to their cash in their sock drawer or hidden somewhere in their room. A separate bank account is actually a safer place. So why not open a student checking and/or savings account at your local bank and equip them with an ATM debit card. 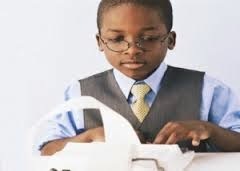 (TC’s Personal Finance Tip) To help your youngster out, have their allowance direct deposited from your paycheck into their student checking account. Some banks require a minimum of $25 direct deposit once a month to avoid administration fees. Look into it at your local bank.